Today is senior day! 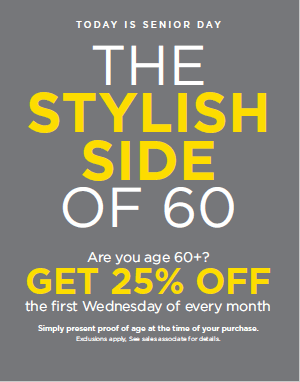 The stylish side of 60! Shop your local L+T the first Wednesday of every month for special discounts. Exclusions apply, see sales associate for details.